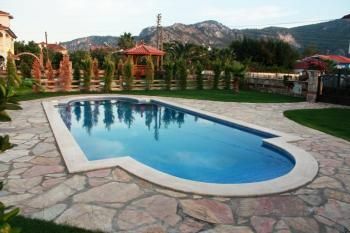 Detached 4 bedroom villa for sale Dalyan with private gardens and swimming pool. 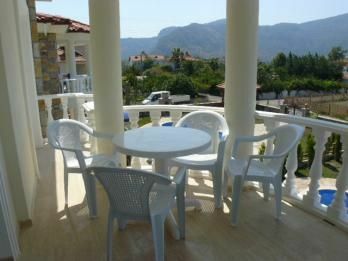 The villa was built in 2010 therefore everything is new fixtures, fittings and top range furnishings throught the property. 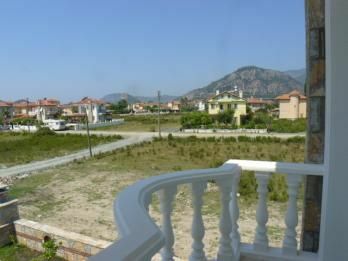 Located in a quite area of Dalyan in Metinler close to all local amenities. 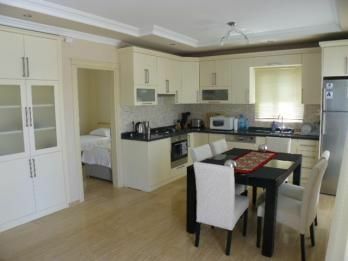 Property comprises of Ground level open plan living modern fitted kitchen with cream units and dark granite work surface all electrical appliances built-in oven, hob, extractor, fridge freezer and dish washer. 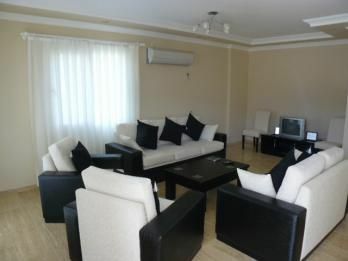 Into dinning and lounge area with spotlighted celings modern furniture T.V and air-conditioning unit with patio doors leading out onto covered terrace. Downstairs double bedroom with twin beds, bed side cabinets and wardrobe has en-suite shower bathroom facilities. Upper level Bedroom 2 has king size bed fitted wardobes, air-conditioning unit en-suite bathroom with bathtub patio doors onto front balcony. 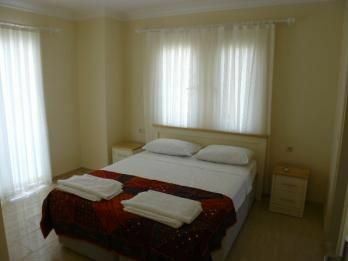 Bedroom 3 is double size with twin beds and matching bedroom furniture air-conditioning unit patio doors open onto front shared terrace overlooking the garden and pool area. Bedroom 4 has double bed fitted wardrobes bed side cabinets air-conditioning unit with access to the shared terrace. 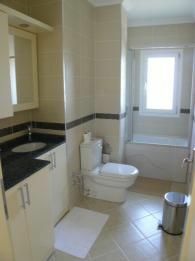 Family bathroom fitted with walk-in shower, vanity unit wash basin and w.c .